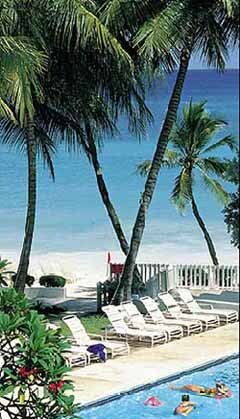 The Sand Acres has 38 spacious, ocean, pool or garden view suites with balcony or terrace. There is a variety of one and two- bedroom suites, all having air conditioning in the bedroom, ceiling fan in the living room area, in-room safe, iron and ironing board, radio, direct dial telephone, coffee/tea maker, color TV with cable, king-sized bed, daily maid service, hair-dryer and L-shaped couch in the living room. There is a complete, fully equipped kitchen in each suite. The Water's Edge is the on-site casual full-service restaurant. The restaurant serves breakfast, lunch and dinner. The beach bar serves beverages and light snacks beach and pool-side. The Sand Acres features an in-house activities desk to organize and plan daily and nightly activities. 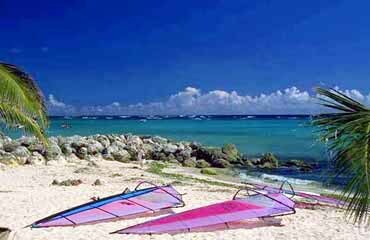 Whether your preference is just basking in the Caribbean sunlight on the pristine beach or trying your hand at sea kayaking, snorkeling, boogie boarding, tennis, beach volleyball or deep-sea fishing. The facilities include adult and children's separate swimming pools, a state-of-the-art fitness and health club, tennis courts, game room and watersports. There is an on-site convenience store, boutique and a full service conference facility for those combining a business and pleasure stay. 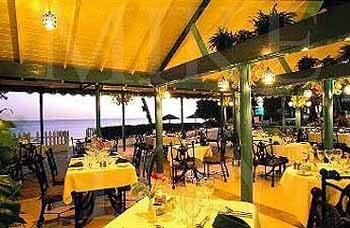 The Sand Acres guests also have access to the facilities at the sister luxury hotel, Bougainvillea Beach Resort.